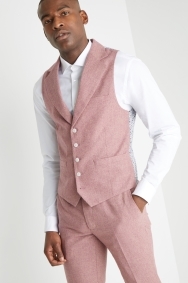 This dusty pink tweed jacket is eye-catching and on-trend. 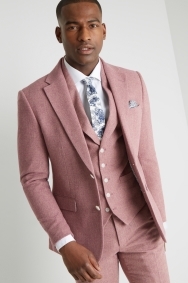 A real statement piece for your formal wardrobe, this jacket has a pink tone and slim fit to create a sharp and bold look. 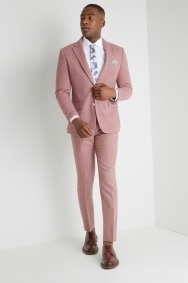 The tweed cloth is woven with a classic herringbone style, adding a refined quality. 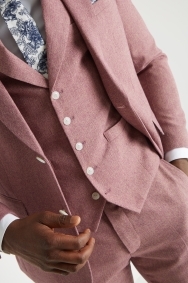 Notch lapels keep it simple and easy-to-wear. 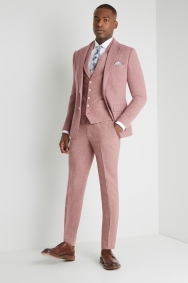 Wear with an extra slim fit white shirt. For even more personality, partner with a plain bow tie and floral pocket square. On trend and devastatingly modern, a slim fit jacket fits close to the body – but not too close for comfort. 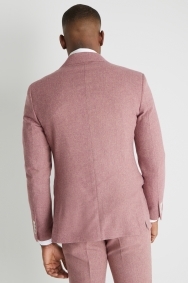 Accentuating the shape of your chest, shoulders and back, a slim fit jacket is easy to wear and very flattering. 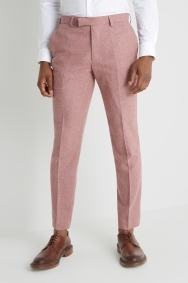 Wear a slim fit shirt underneath for a seamless silhouette that works in a formal or casual context.